I attended MARS music business conference in Seinäjoki a few weeks ago, and discovered that labels are constantly looking for spikes in the Spotify statistics. 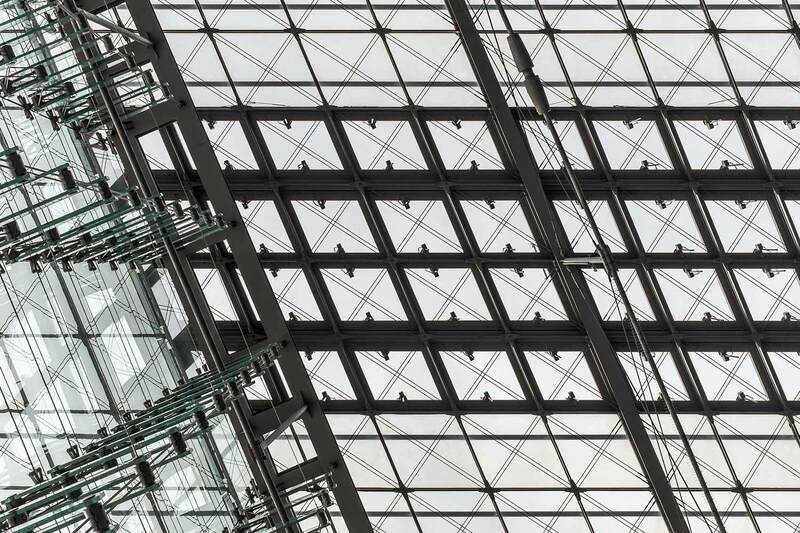 There are a many ways of generating spikes in the Spotify statistics. One of them is advertising – inside Spotify itself or elsewhere (YouTube AdWords campaigns or Twitter ads are good tools for this). So how do you get featured on Spotify? One way is to look for similar artists (preferably trending) and check the playlists they were discovered on. Then figure out who is curating the playlist, and send your music. It might be a good idea to mention that you found some good music through that playlist. I thought about this method, when I was looking for albums released by Kontor records (using the search keyword label:kontor) because I am a closet Scooter fan. I listened to some songs, and through related artists I stumbled upon the music of Lost Frequencies, and really dug his stuff! The lighter side of Unzyme’s music is not that far from Lost Frequencies, so I checked the playlists through which Lost Frequencies is being discovered on (it can be found under the About tab). 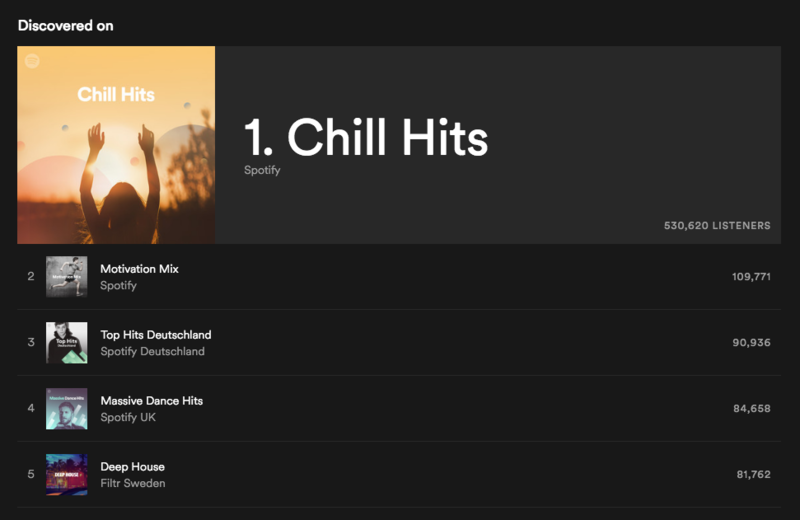 It seems that Lost Frequencies is mostly featured on official Spotify playlists. Next step would be to figure out who at Spotify is curating these playlists. 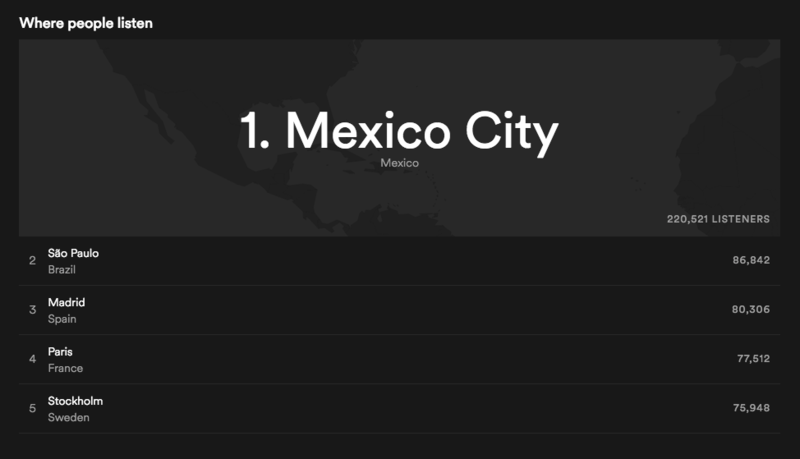 Spotify has curators in each country, and you can find the contact information on Spotify’s website. However, the most interesting find on this particular playlist is that many find Lost Frequencies on Filtr Sweden‘s Deep House playlist. Filtr is a part of Sony Music Entertainment. They’re always looking for new music, so it’s worth a shot to send your best song to them. Spotify and Filtr might be not be that easy to reach, though, so it’s a good idea to look for popular independent playlists. It’s also a good idea to see where the artist is being listened to, so you can look for blogs and other influencers in that area. Maybe try a Hype Machine search, to find blogs that write about your kind of music. Where to find indie playlists? Usually indie artists are featured on indie playlists. Look for successful indie artists, and you’re likely to find some cool playlists on Spotify’s “Discovered on” list. One of my favorite artists, Poets of the Fall, is a good example. They’re a very successful indie band, and they’re being discovered mostly outside of Spotify’s official playlists. 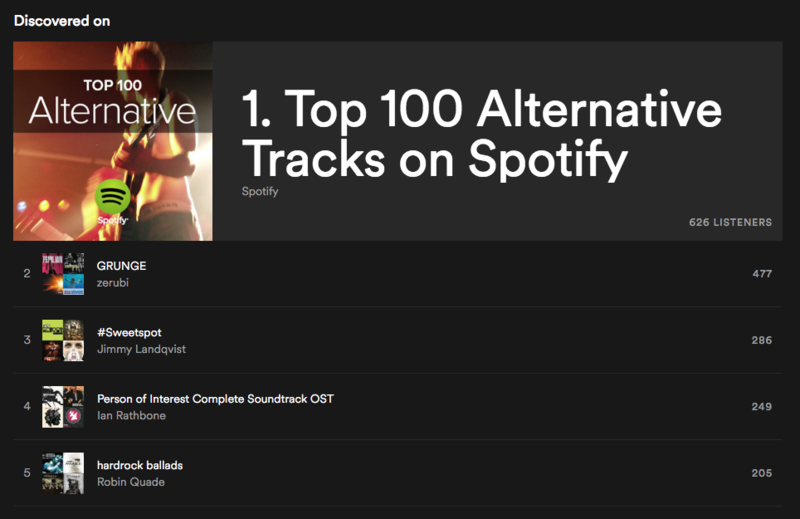 The most popular playlist is Spotify’s own “Top 100 Alternative Tracks on Spotify”, but more people find the band through indie playlists (740 versus 477 monthly discoveries). Indie playlist curators are not always easy to find. A quick search will give you clues on how to contact the playlist host. If you don’t find the host, you might still find other, similar playlists. When you find the contact information, it’s a good idea to add this person to your contact list. Spotify are the best when it comes to curating playlists. That’s one awesome way of finding new music. Spotify playlists like “Deep House”, “Deep House Hits”, “Deep House Party” contain NO deep house at all. They are filled with pop music. I don’t know why Spotify are closing their eyes on this. I guess it’s all about money, not music.